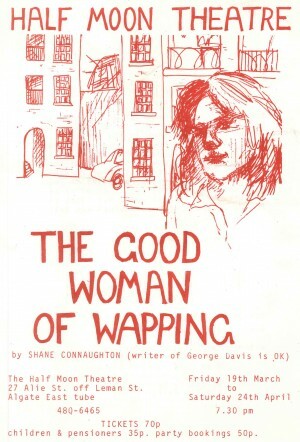 The Good Woman of Setzuan was the basis for The Good Woman of Wapping. 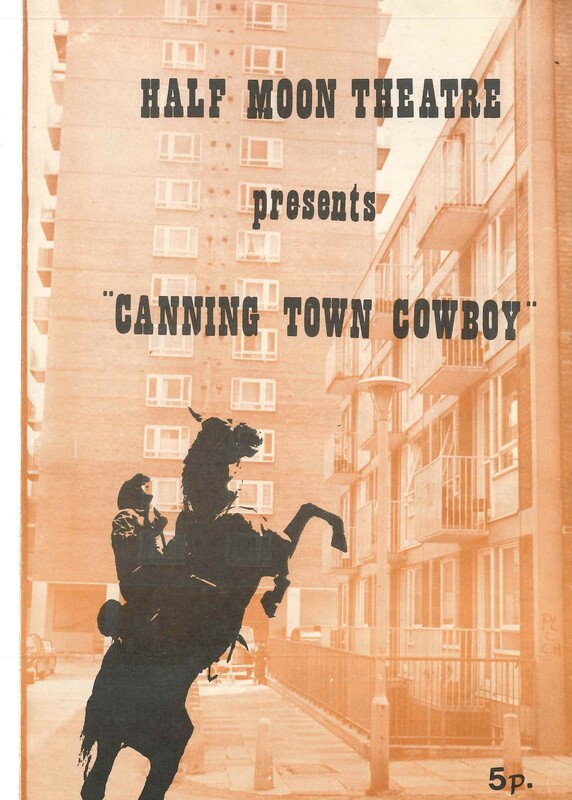 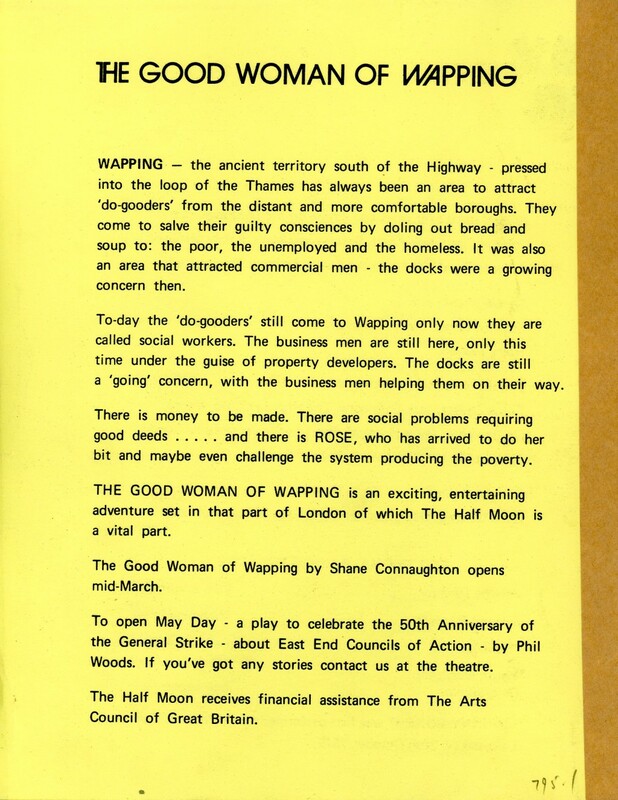 The play was brought up to date and into the East End and told the story of a liberal do-goodess who left mummy in the lap of Hampstead for a good social conscience and squalor in Wapping. 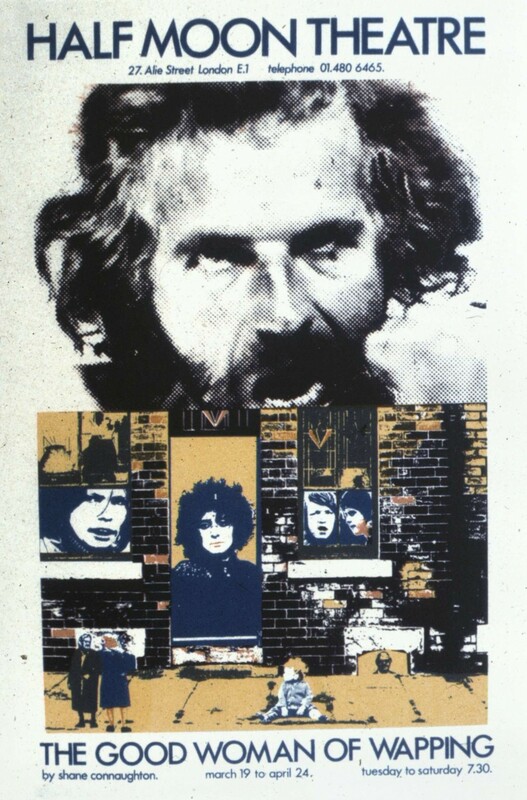 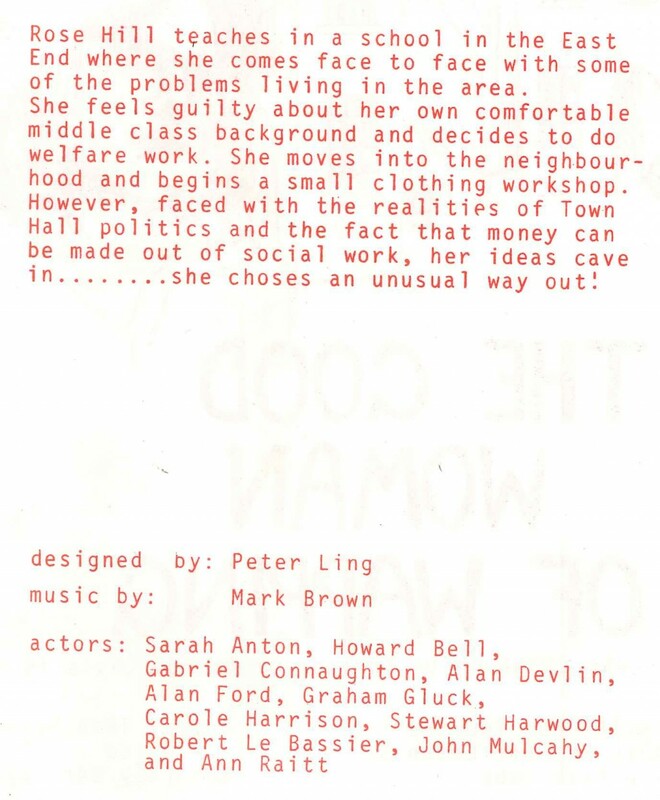 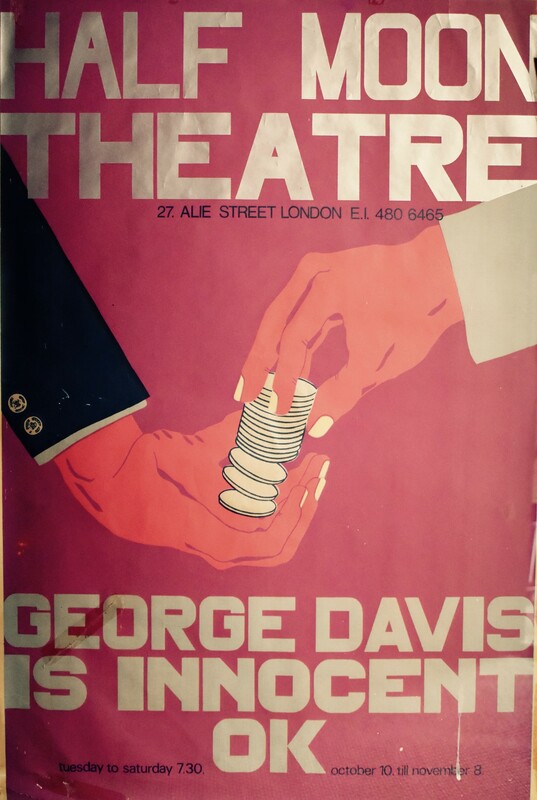 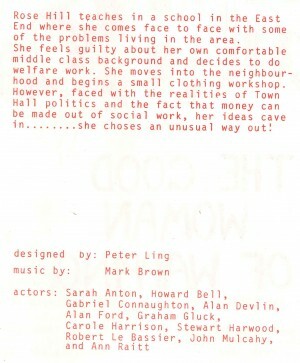 The play explored housing, unemployment and revolutionary methods. 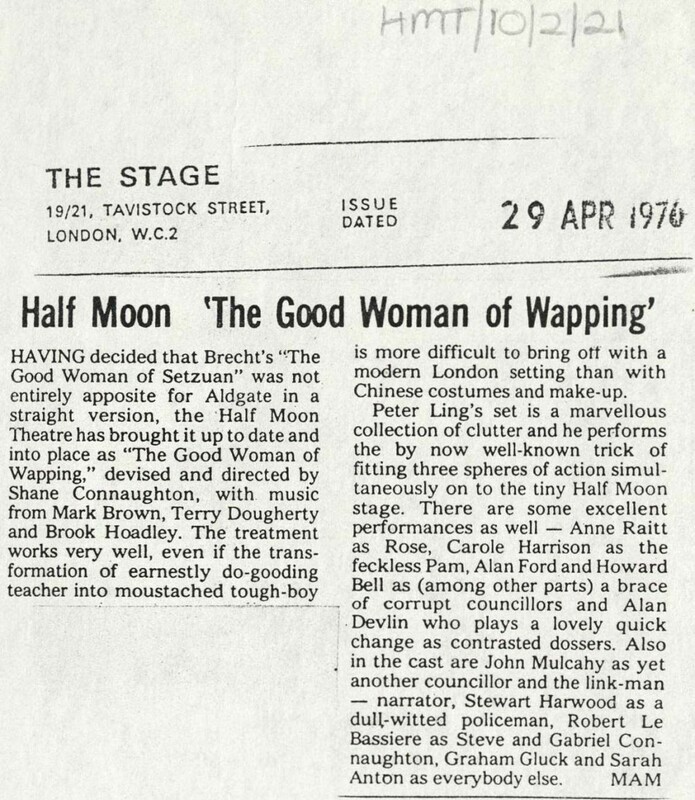 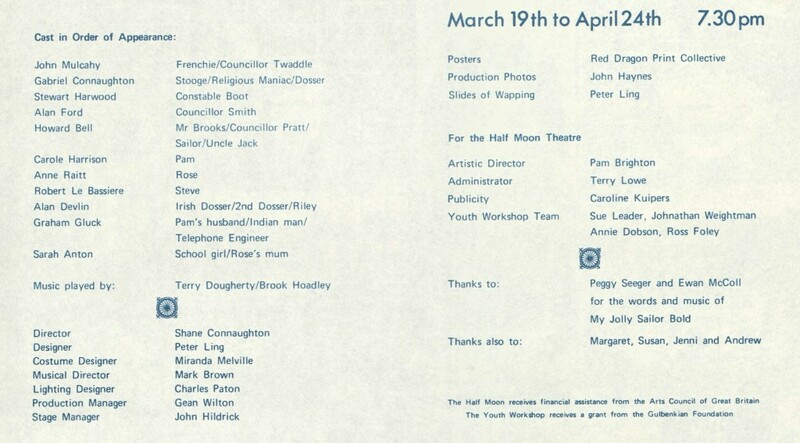 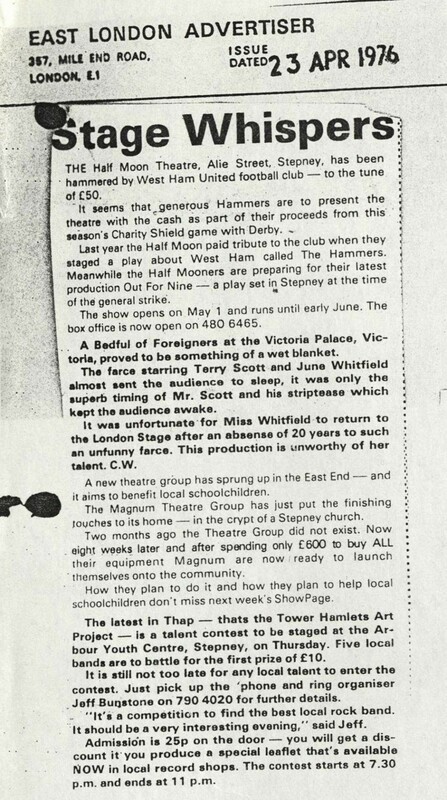 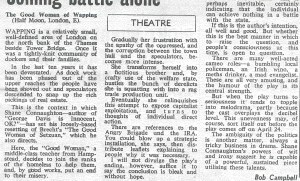 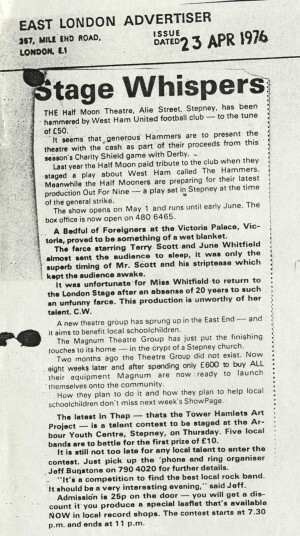 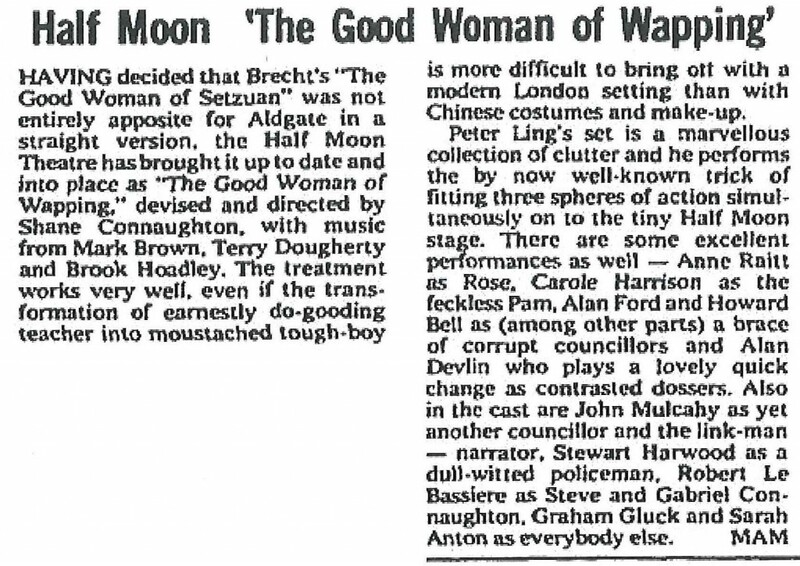 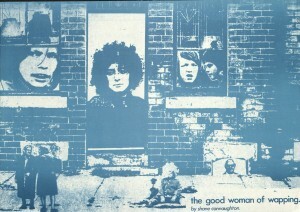 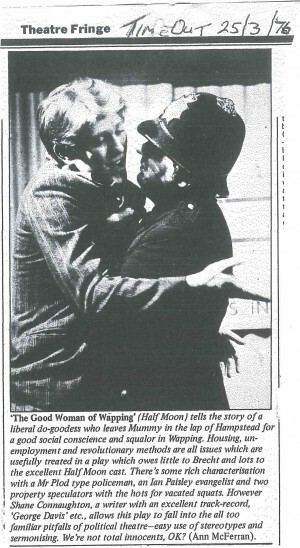 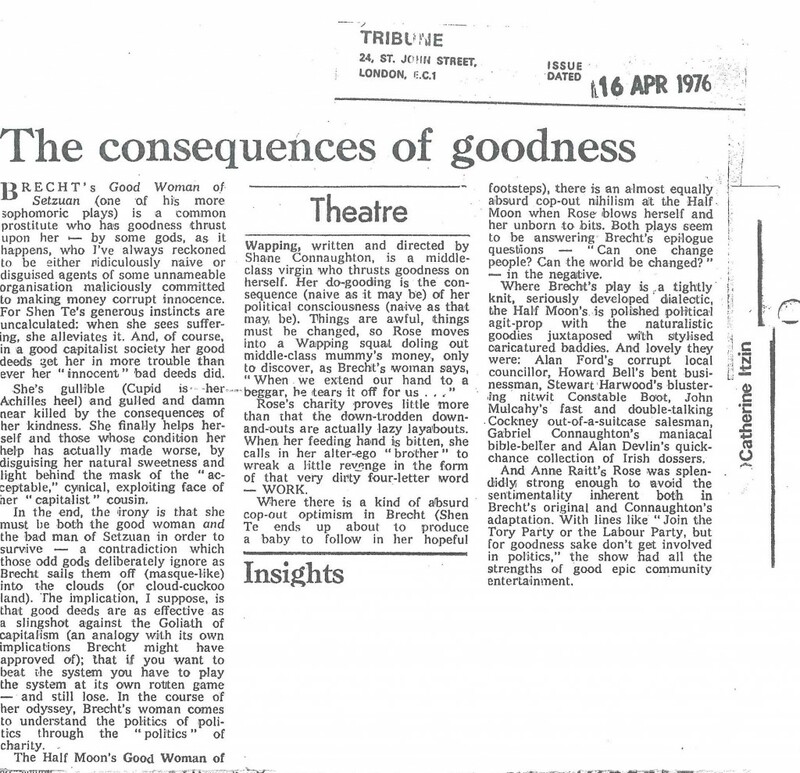 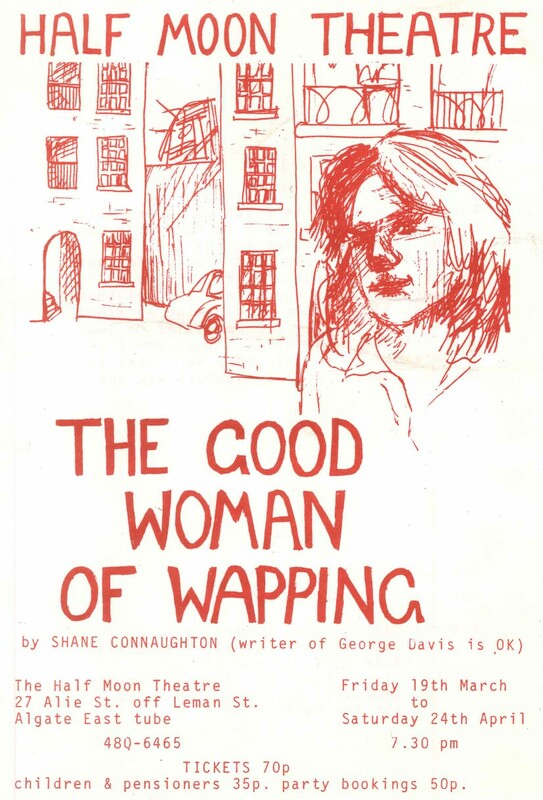 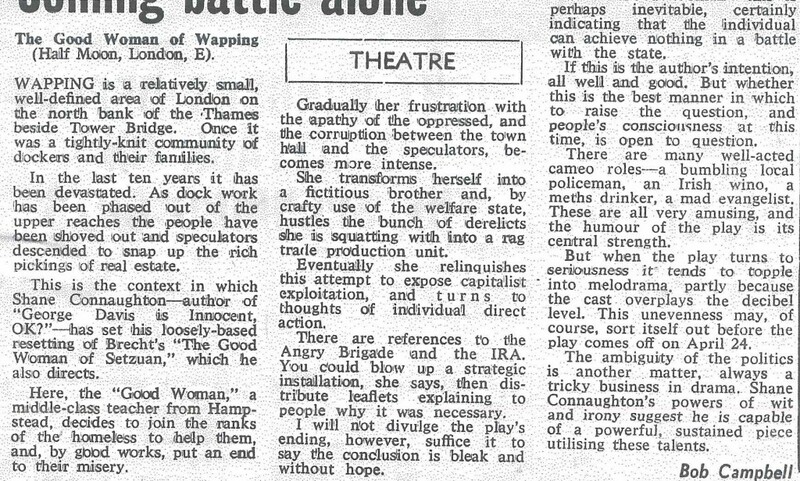 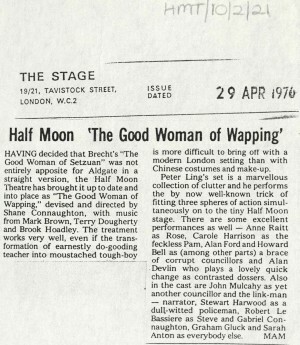 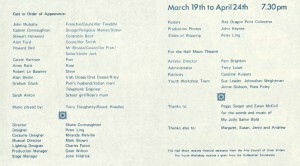 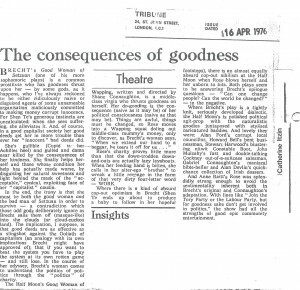 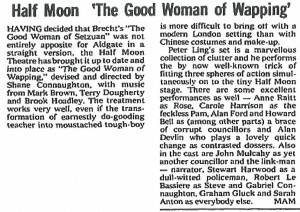 Writer, Shane Connaughton talks about his production, The Good Woman Of Wapping at Half Moon Theatre on Alie Street in 1976. 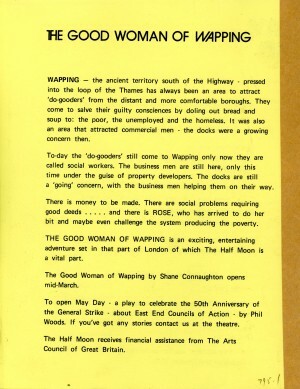 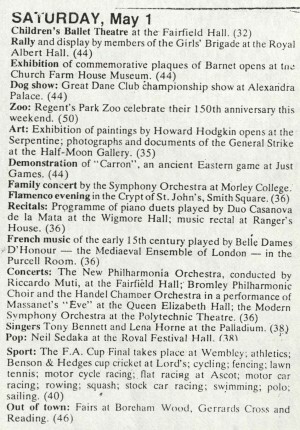 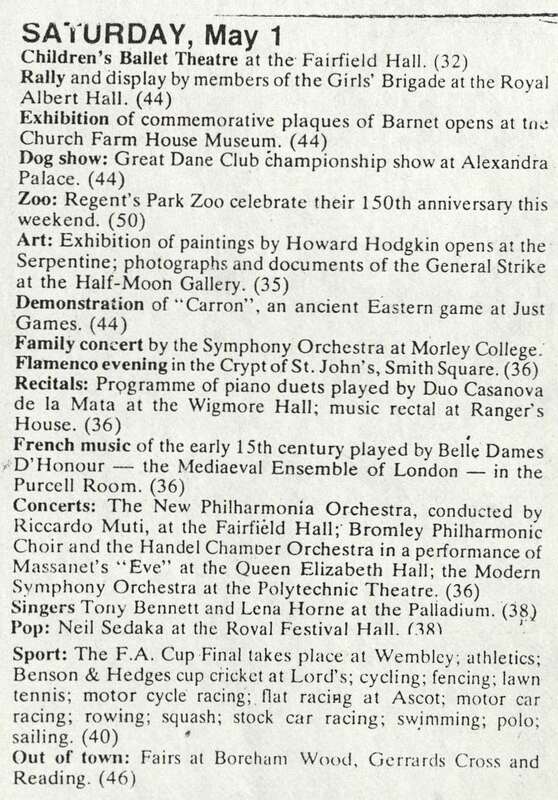 Interviewed by Kavanna Joyett.